Travel planner for the UK. Plan your journey here at ukrailways.com and get rail tickets too. Use our journey planner UK for trains, tube travel, coaches, buses, ferries and everyday car journey, including flights and hotel reservation. Let's help take the hassle out of planning your trip. Please leave reviews below on how useful this is, as well as anything else you would love to see in the box at the bottom of this page. Happy planning. A Travel Planner is a must for a smooth focused journey any where any time, whether you are travelling on the UK railway - underground system, or overground, or by coach, car, flight or ferries. 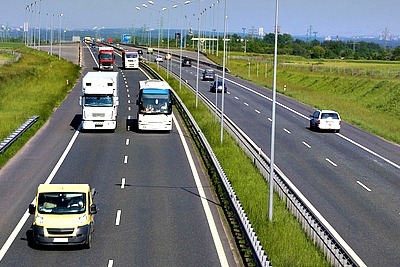 The UK transport system is one of best in the world, with good road network, rail system, bus, boat services and interconnecting fights. To make your journey planning easier, we bring you a collection of UK travel planners for rail travel, coaches, buses, London underground tube travel and even every day car journeys as well as boat services and flights. Whatever type of escape you are planning, use our free route planner and plan your journey before leaving. Once you've decided how you intend going on your journey - whether by car, tube, rail, car or flying, enter your route details and start planning your trip. We have included the award winning TFL London transport route planner here too for your convenience. If you ever want to speak to someone to help plan your journey for free across the UK... whether by train, coaches, local bus service, or any other means, the number to call is 0871 200 22 33. Are you travelling from London to Glasgow, or Chelmsford to Birmingham? Where ever you want to go in the UK, you can use our UK train journey planner here to find the station, train, stops and changes required and journey time. Start your train trip planning now by entering your start destination station on the 'find train times and ticket' search box to your left. Choose your travel date and preferred time of travel and click on the 'Get times and ticket' button. Voila! You will get a list of all UK train stations and the connections for your journey. You can also get cheap Train tickets to any UK National Rail station, saving you up to 80% on rail tickets, compared to your buying the same ticket from the train station on the day of travelling - another good reason to plan your journey before leaving. It will save you money. You can get advice on the best route for your rail travel by speaking with a travel adviser now on 0871 200 22 33. This service covers the whole of the UK. If you are looking for a travel planner for a rail trip, remember to review the top tips on how to spend less on your train journey here. London is big and could appear intimidating if you do not know your way round it yet. Thankfully, the Transport For London (TFT) has devised an award wining London Travel planner for use across the capital on any mode of transport you hope to use - buses, ferries, tube or the London underground system, etc. With a population of about 17 million and the most extensive transport network in the world, travelling in this vibrant world city can be tricky without this tool for many. Just type in your departure point and destination and press the "leave" now button. You will be shown all the available means of public transportation for that route. You can choose from the provided options and customize your search to fit your particular need including your mobility requirement, cycling needs, or even walking. Enjoy your trip around London. Whether you are just planing a trip around the South East of England, Midlands, Yorkshire or even up to the Scottish highlands, use the Micheline Car Route Planner for the UK and see your travel options and how to get there. You can plan your car or bus journey from and to a town or city postcode, postal address, named town or village, named rail station or stop, or any popular point of interest on our travel planner for car, van, bus and any other road user. Are you the type that prefers travelling by ferries? 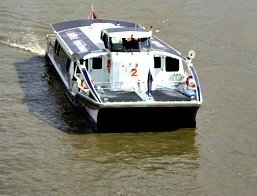 Looking for perhaps a London boat service on the river Thames or any other UK boat trip? Plan and book your journey with the Traveline Route Planner. If you are looking to travel on boat or ferry across the English Channel or on a cruise holiday, you can search the P&O Ferry website for the latest offers and price. Fly from the top UK airports to any other UK destination or beyond on the UK number one airline - British Airways. No other airline travel as many times and as many destinations from within the UK to Europe like British airways. If you are looking for UK domestic flight planner alone, showing all the airports providing inter-city domestic flights within the United Kingdom, then check out the UK Transport Direct Flight Route Planner here. There you will get access to over 52 UK airport start destinations, including Stanstead airport, Bristol International airport, Barra North Bay airport, to mention a few. What ever your travel planner needs, be sure to confidently plan your journey across the UK and beyond by starting here. Planning A UK (Rail) Journey? Need Help With Direction? Leave a Comment or Question Here! Are you planning a journey to anywhere in the UK? Need help with direction, or any aspect of your journey? Best hotel in the region, e.t.c? Post it here and get help. Please feel free to leave comments here too, if you read queries by others, and you want to make a contribution to help with such question. All comments are read by the UK Railways Team, and we shall respond to some queries directly on this page too.